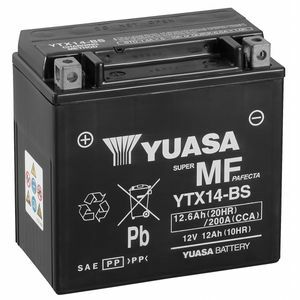 Excellent replacement battery for my 09 GS 1200. Great service from Tanya. Replacement for my bike's original battery which died after a few years. It fitted perfectly and continues to work well. Bought this battery for my BMW f800gt. Very fast delivery, easy to fit and works a treat - obviously no idea about long term battery life. Huge saving on BMW dealer quotation for this job! Efficient and speedy service. Battery as described; perfect fit. Good company - ‘walking the talk’. Good product, good price, excellent service, thanks and best regards, Martin. Good battery. 1st class service and received next day. Pleasure to deal with. Best price, fast service and as described. Good quality battery, packaged well so it turned up in good condition. Use these for commuter bike and looking for longer life. Used for 3 to 4 years before replacing.